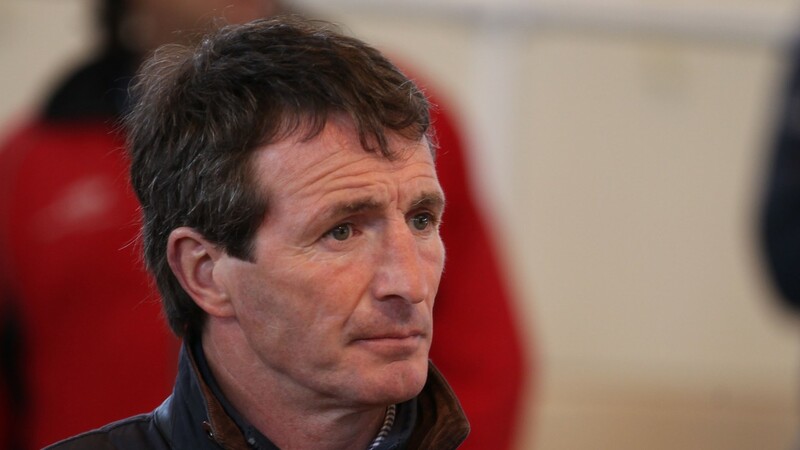 Norman Williamson: "This game can burst your bubble fairly quickly"
It has been over 23 years since Norman Williamson wrote his name into National Hunt history books with a Cheltenham Festival four-timer bookended by wins in the Champion Hurdle and Gold Cup. But if nearly a quarter of a century has passed, as soon as Stormin' Norman is back in the irons it is readily apparent that he has lost little of his mastery. All the old qualities were there when he steered former curmudgeon Pallasator to a smooth success in the John Shortt Legends charity race at Punchestown last October. And with a team of breezers to nurture each winter the 49-year-old has every reason to ensure his tools remain sharp. "I still ride out every single day, bar Sunday. I'm getting a bit old for it now but it keeps me fit," he says shortly after hopping off final lot at the idyllic Oak Tree Farm, situated on the edge of the sleepy agricultural town of Athboy, County Meath. Preparing speedy two-year-olds may not be an entirely obvious career path for a jockey who was more accustomed to steering three-mile chasers, but when injury brought Williamson's decorated riding career to an abrupt end in October 2003, he found himself at a crossroads without a signpost. It was then that Eddie O'Leary, brother to Michael and the man at the helm of the Lynn Lodge and Gigginstown House Stud empires, suggested that Williamson try his hand at riding breezers. "Eddie O'Leary asked me if I'd be interested in doing a few breeze-ups when I'd retired," he says. "I said 'maybe', so he asked me come to Doncaster to ride a horse for him. 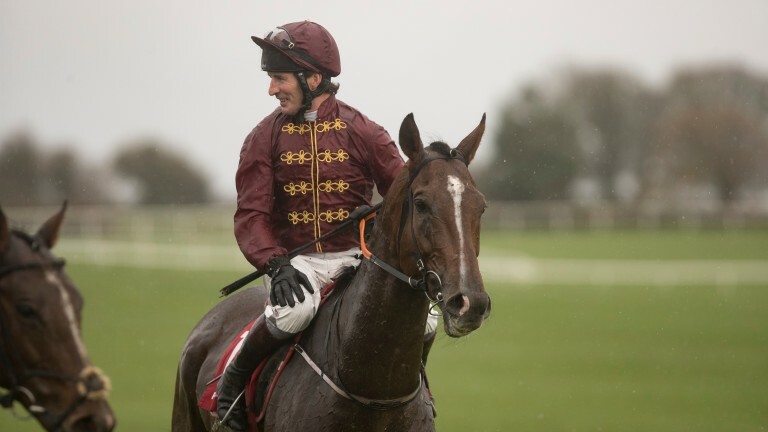 "He'd been telling me he had this horse that was very fast, and obviously I thought I could ride a bit, so I went over to Doncaster and he came up there like an absolute rocket! Howard Johnson bought him for Graham Wylie and called him Abraxas Antelope." That was 14 years ago, however, when the landscape of the breeze-up business was far less perilous. Professional jockeys were a rare sight at breezes, precision timing equipment was still a thing of the future, and for plenty of the stock on offer, these sales were the last chance saloon. "The thing that encouraged me to get a few of my own was I thought I could do it all myself," he continues. "At that time everybody was riding them. There were people who weighed 12 stone riding breezers and a lot of vendors rode them themselves, so if you had a good jockey you had a huge advantage. They weren't trained to do times or anything, it was all about action. "One of the first horses I had was Tamagin, a son of Stravinsky I picked up in America. I didn't really know what I could and couldn't do with them at that stage, so he was trained like a jumper - I was doing a huge amount of slow work. But he breezed really well and ended up winning a load of races. After that I kind of thought it was easy. "Things have changed a huge amount, though, and now they have to do it on the clock." Williamson says he has learned a few harsh lessons in the intervening years, however the widely held obsession with the stopwatch has remained at odds with his own approach to preparing thoroughbreds. So even if the Oak Tree Farm routine has been refined since the days of Tamagin, these young animals are still allowed to become racehorses bit by bit. "You can make or break a horse in one week, especially when you start stepping on the work," he says. "If you do too much the first day you can totally blow their brains. It's not just put a saddle and a bridle on them and keep galloping, certainly not. "Some will take a lot of work and some will take no work. I have a Swiss Spirit colt going to the Craven and he seems very sharp and very early. Just by riding him every day you know that he's always hard on the bridle and willing to go that bit faster. "You'd love to have every horse breaking the clock but only a certain amount will and that's because they're capable. You can't give them ability." But even when their inherent ability has been careful coaxed out, the fixation with the stopwatch means there are no guarantees that potential purchasers will be able to see the wood for the trees. "We had a horse here a few years ago called Contributer, who won at Royal Ascot before winning two Group 1s in Australia," recalls Williamson. "He was quite a big horse by High Chaparral, but he was quick from day one. "He did a really good time, but someone at the sale said they wouldn't look at him because he went too quick for his pedigree. In other words, they thought we had done too much with him! But the reason he was able to do the time is because he had ability - he was just naturally able to gallop." Even if the emphasis on times has moved many a vendors' goalposts, Williamson remains refreshingly pragmatic about the issue of the clock and the impact it has on his business. "You get different times from different people, which is probably a good thing," he says. "One official time, for me, won't work. The reason being, if it's windy, the ground cuts up, weights aren't taken into account, or your horse shys at something, your time is gone. As for people having their own clocks, they're more than welcome. "It's frustrating when you have a nice horse and you don't even make your money back," he adds. "But that's the business we're in." And even though the breeze-up sales are undeniably a big-money business nowadays, with consignors having invested over £200 million on stock since 2014, Williamson is a firm believer that the racecourse, and not the sales ring, is still the ultimate arbiter of their success. "The most important thing is that these horses train on," he says. "If I sell a horse who doesn't do the clock, I probably won't get well paid and I might even lose money, but if he trains on and goes and wins a race - be it at two or three - that's more important. "Being a jumping man I was probably guilty of buying a backward-looking horse, I might still be guilty of that, but I like to buy a horse with a bit of size and scope who can train on. The nice ones are getting more expensive, though." The clock and the rising price of quality yearlings are not the only pitfalls facing vendors at present, as Williamson concedes that he has been forced to reduce the number of breezers he prepares, with the chronic shortage of skilled staff a major contributory factor in his decision to scale back this year. "We have two very good members of staff but if I had a couple of extra riders I'd certainly have more breezers in," he says. "I'm not complaining but it would make life easier if we had more." With increased pressures can come increased rewards, and although Williamson is down on quantity, there is no shortage of quality residing in the barn just beyond his kitchen window. And with Oak Tree Farm's first draft of the season set to appear at Doncaster on Monday, Williamson has every right to be optimistic about the season ahead. 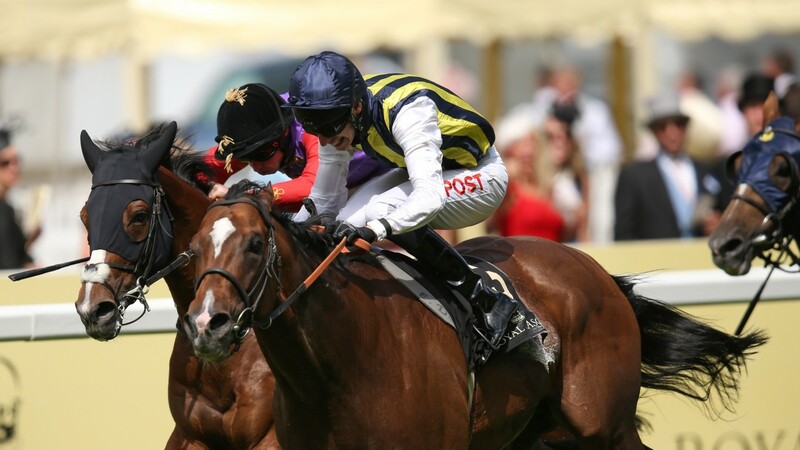 "We think we have some nice horses so I'd be very hopeful, especially as the results have been good. You see winners coming out of the breeze-up sales every day," he says when asked about his projection for the season ahead. "Invariably the top end always looks after itself, I just hope to god there's a middle market - that's where Doncaster stood out last year." Moreover, the cyclical nature of preparing and selling two-year-olds invariably means that a new horizon is never too far away. "Next year will depend on this year," he says when asked about his hopes beyond 2018. "This game can burst your bubble fairly quickly. It can be heartbreaking when you spend from September to now out there at six every morning and the week before the sale your horse goes lame, that can be tough," he adds before pausing for thought. "But you always have a bit of a breather during the summer and then you're mad hungry for it again. We must be nuts really!"